The Sunshine Coast is one of Australia’s most rapidly changing regions. 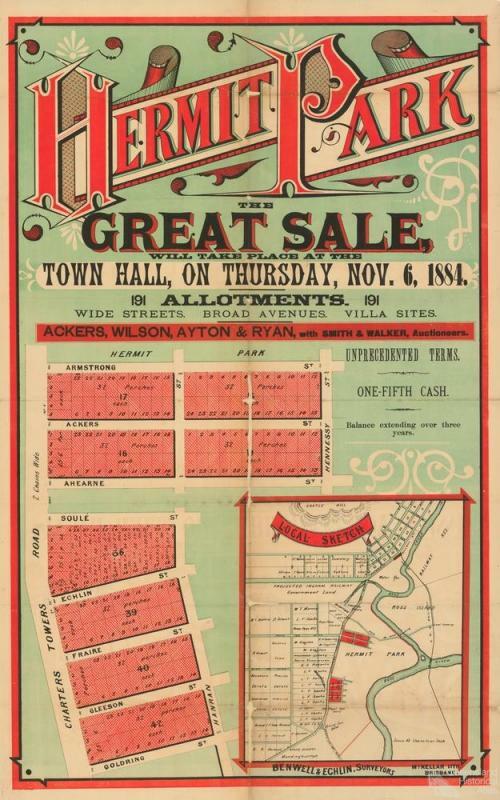 This estate map advertised 191 allotments in the Townsville suburb of Hermit Park in 1884. Many houses from the gold fields town of Charters Towers were moved to Hermit Park after 1917.